The Kremlin has warned that jumping any conclusions about a reported chemical attack near the Syrian capital of Damascus without confirmed information would be wrong and dangerous as there is no investigation underway into the alleged incident. According to Press TV, Russian officials had previously said that militants in Syria were plotting “provocations” with the use of chemical weapons, Kremlin spokesman Dmitry Peskov said on a conference call with reporters on Monday. An alleged chemical attack on Saturday in the militant-held town of Douma in Eastern Ghouta reportedly left dozens dead. 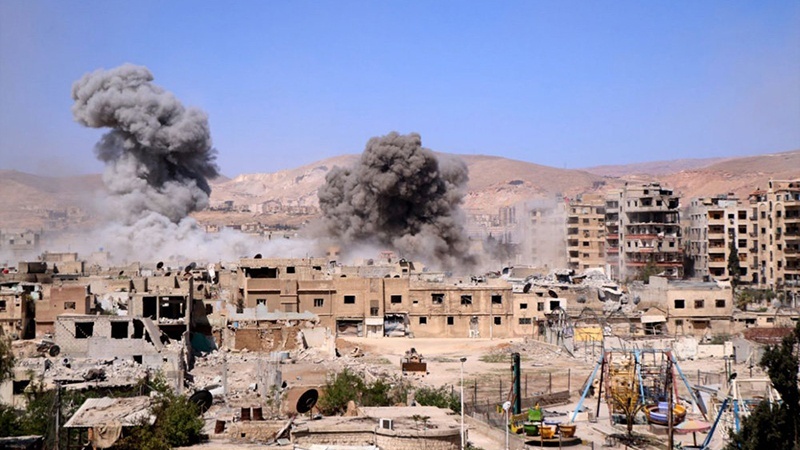 Eastern Ghouta, which is home to nearly 400,000 people, fell to multiple militant groups in 2012, months after Syria plunged into crisis and has since served as a launch pad for fatal attacks against residents and infrastructure in Damascus. “The chemical fabrications, which did not serve the terrorists and their sponsors in Aleppo and Eastern Ghouta, will not serve them today either, as the Syrian state is determined to end terrorism in every square inch of Syrian territory,” read the statement. Russia’s Foreign Ministry on Sunday lambasted as “bogus” reports of a chemical gas attack allegedly conducted by the Syrian government in Eastern Ghouta, warning that any military intervention based on such “invented and fabricated excuses” could lead to severe consequences.